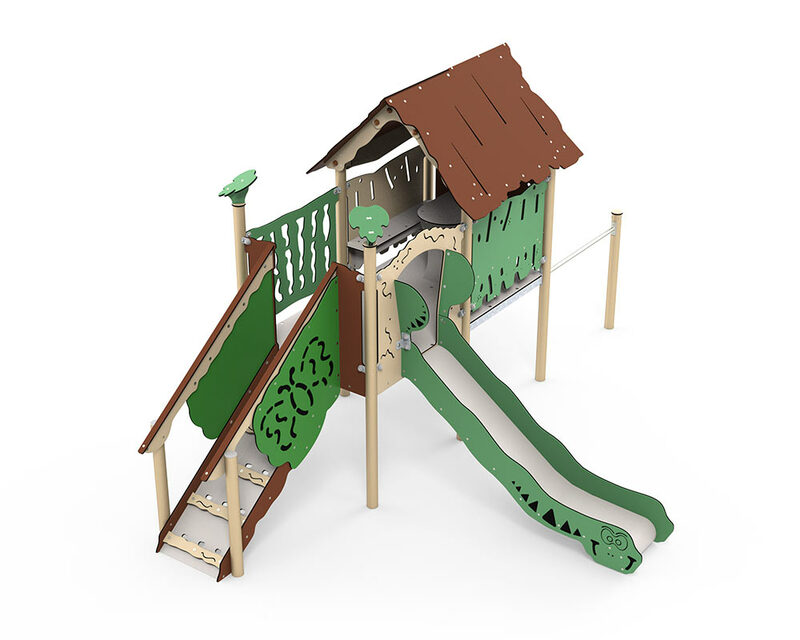 Rios is one of several Explore models which has a built-in playhouse on the first floor. The playhouse is a traditional piece of playground equipment, and when included in the system, it gives children the opportunity to use it as a lookout post across the playground. With its integrated table and benches, it is also possible to enjoy a packed lunch or to play shop.